Bespoke Front Door is a company based in London who specialise in the design, manufacture and installation of handmade, traditional front doors. Design and quality are at the heart of everything that we do. Our front doors are made to the highest possible standards using the most durable and long lasting timber available. Each front door is individually designed and made to order. For many of our customers security is a big priority. We offer high security front doors which incorporate strong, laminated glazing, reinforced panels and Banham locks, whilst preserving the look and aesthetics of a traditional front door. We pride ourselves on offering excellent service to our customers. We are so confident in our ability to deliver our product to the highest standards of customer satisfaction that we do not ask for a deposit payment in advance. The London Door Company was founded over 30 years ago with the aspiration to offer customers a total solution to their door needs, something that was previously unavailable. We recognise the positive difference a designed door makes not only to the look and security of your property but also to the value it can add. When discussing your requirements with our sales designers, you will be able to draw on our collective experience ensuring the success of your order. Custom designed security specialists in the residential and commercial market, we design security products such as armored doors, windows, and panic rooms. From burglary resistant to bullet resistant our products have been tested to the highest standards. We work closely with homeowners, architects, interior designers and construction teams to create the ultimate security solution. SWD provides a complete and comprehensive design-led, bespoke service to assist our clientele at all stage of specification and installation of beautiful solid wood, solid-core, internal and external doors including fire-rated options and security doors. From inspiration, inception and creation of truly unique designs that can incorporate a huge plethora of beautiful finishes, veneers, glazing options and metal inlays teamed with an opulence of hardware, skirting, architrave and ironmongery sourced exclusively from some of the top European designers we strive to excel expectation and deliver unrivalled excellence. Be safety or aesthetics your main concern our highly skilled and knowledgeable team can assist you in finding a solution to all aspects of your exigencies. put can supply our pre-hung door sets and door leafs up to 2.7m tall and 1.2m wide. Our solid hardwood lippings are nearly double the thickness of our competitors and all of our beading is also made from solid wood, resulting in well-made, heavy, robust doors of distinction. Everything is produced in Western Europe with a standard leadtime within 8 weeks and meets all UK standards and certification. 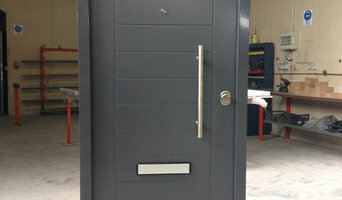 UK supplier of quality modern internal and external timber doors. Wide range of stylish off the shelf products and superb bespoke service. Push Pull sells high end door handles and accessories for the contemporary home. We mainly specialise in pull handles in bronze and stainless steel and unique accessories sourced from all over the world. Some bespoke items are also available by request. We design, manufacture, supply and install a complete range of entrance and interior solutions where the height and scale of doors and screens is not restricted by standard limitations. Ideally we become involved at the early concept design stages to assist in the development and realization of the architect’s vision and facilitate the architectural expression. Consistently pushing the boundaries using innovative technical and aesthetic solutions, we have recently added elegant and unique frameless glazing solutions to our range of products, as the answer to the ever increasing demand for minimalist and full height panels of glass. We are delighted to present our products and portfolio of entrance systems incorporating high quality sliding, revolving and swing doors as well as air curtains and interior solutions. If looking at all the different styles, materials, types and sizes of doors makes you feel like you’re lost in a labyrinth of locked doors, then don’t despair; Ealing, Greater London door manufacturers and door suppliers are available on Houzz to help design, build and install all sorts of doors. 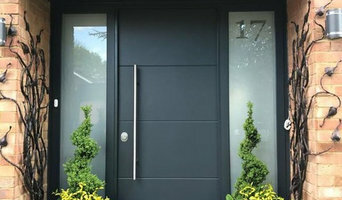 You can find photos of their previous work, reviews, recommendations and ratings from clients, and contact information so you can speak directly to any Ealing door makers you find that you think can help with your project. You might find that your door suppliers or manufacturers can help with your window frames, garage doors or other contractor work, or they may be able to put you in touch with other professionals they work with regularly. Here are some related professionals and vendors to complement the work of doors: Cladding & Exterior Contractors, Garage Doors, Home Builders, Design & Build, Artists & Artisans. For external doors, it’s usually advisable to go for something durable and insulated. Composite door manufacturers in Ealing, Greater London will make doors from a number of materials, usually wood inside and a more protective outer layer, so they are versatile and well suited to being used as back or front doors. You can choose from stable doors, panel doors, half-glazed doors or doors with intricate stained glass panels, in all sorts of colours and stains, and, if well-fitted, your composite door will still stand up to any weather. It’s always advisable to talk to your local Ealing, Greater London door suppliers about the different materials, styles and types of doors on offer so they can tell you in more detail the advantages and suitability of all the doors you’re looking at. Door manufacturers can help with more than just your front door and internal doors - if you have a garden, there are a number of options for accessing it. Large glass doors can be really dramatic and bi-fold doors are a popular choice at the moment because they can completely disappear and open up a room to the outside. 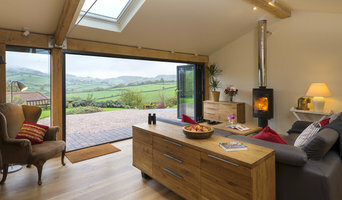 If you don’t quite have the budget to install bifold doors, patio doors or french doors can still bring in lots of light from your garden into your home. Talk to Ealing, Greater London door makers about what they think could work for your home renovation project. 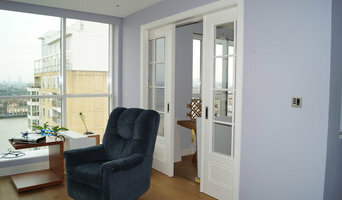 Why should I hire Ealing, Greater London door manufacturers or specialists? Find door suppliers and makers on Houzz. Look in the Professionals section of our website and search for Ealing, Greater London door manufacturers and suppliers. Read reviews, look at project photos and see how a door professional can help your Ealing, Greater London home improvement project.